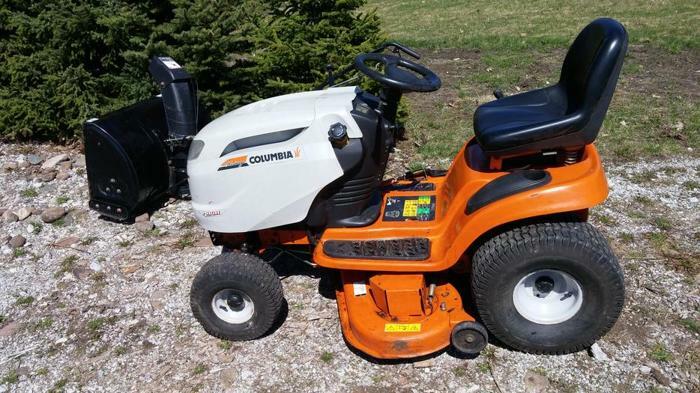 Columbia(Cub Cadet) 22HP Lawn Tractor c/w 2 stage snow blower. 42" mower deck. Hydrostatic drive. Starts and runs great. Only 226 hours.